*Download trial version and save first 25 items from each folder. Saves recovered PST to DBX, MBOX, MSG, EML, TXT, RTF, HTML, and MHTML formats. Welcome to my review of the Office PST Recovery software by Kernel Data Recovery. 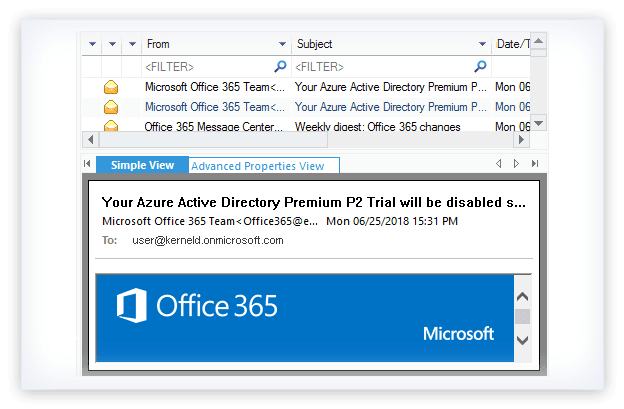 Throughout this review, I will be discussing Read more..
We needed to import 30 GB PST data to Office 365, and used the automated process of Kernel for Outlook PST Repair with 100% success. I needed to access email archives in Outlook. However, they were corrupt. 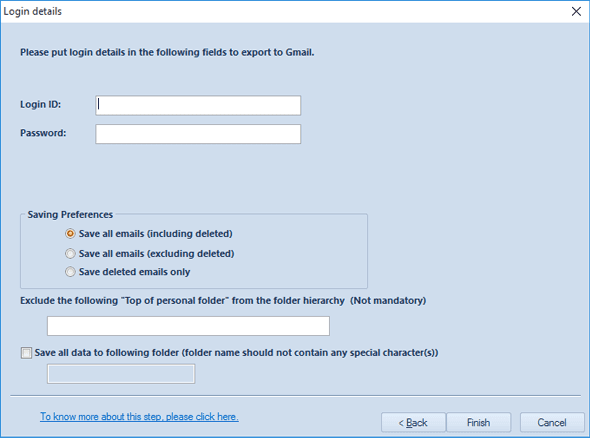 The tool cleaned the achieve files and I was able to import the files into Outlook. Using this Outlook recovery tool, you can easily repair PST files even if their size exceeds 2 GB. It retrieves all valuable information and also enables you to split the output PST file after a specified size. 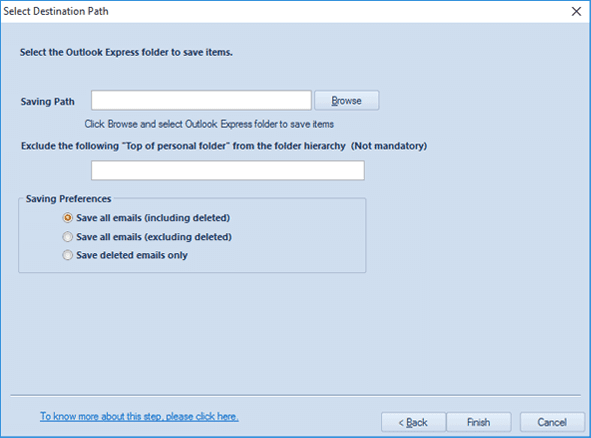 Recovering permanently deleted Outlook PST emails is easier now. The tool scans the corrupt or damaged PST files and recovers deleted items. On the preview pane, these deleted items will be highlighted in red. Office 365 users can recover PST files directly to Office 365 user accounts. To commence the migration, one just needs to select Office 365 as the saving option and provide the login credentials. Before saving, you can apply email filters as well. Save recovered PST file data to email servers like Exchange, Domino, & GroupWise directly using this tool. You can export the complete mailbox data like emails, appointments, to-do list, attachments, contacts, etc. without any additional resources. Items can be saved selectively using the email filters. Save the recovered PST data to web mails like Yahoo Mail, Gmail, AOL, etc. For this, you just need to provide the login credentials of the respective web mails. 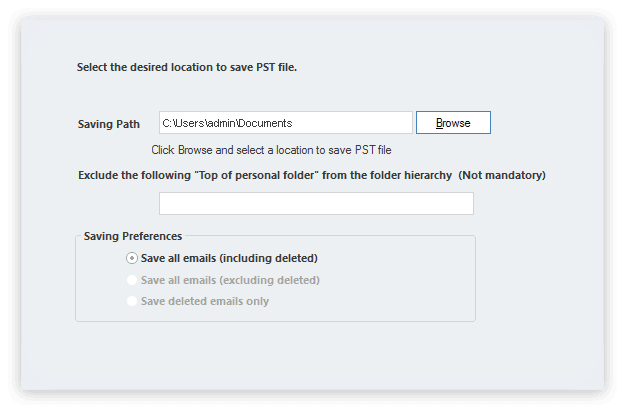 You can save specific emails to web mails after filtering the PST data. After completion of the PST files recovery process you can choose to save specific emails in various file formats as per your requirement. Repair PST software permits its user to save recovered email items in DBX, MBOX, MSG, EML, PDF file formats as well. The software is very well integrated with the 'Search' feature that enables the user to search out the required PST files in the selected volume. From the list displayed by the software, you can select the affected PST file to perform the recovery operation. Users may lose access to important emails and attachments when they delete them by mistake. This tool recovers the deleted emails and attachments from PST files, along with the other items. The PST recovery software is capable of restoring all meta properties of emails — To, Cc, Bcc, From, Subject, Date, Time, Contacts (company, email id, phone number, etc. ), Tasks & Calendars and Journals. SelectIn the first step, select the source PST file by clicking the “Browse” button. PreviewOnce the recovery process gets completed, the software displays the preview of restored items. SaveIn the final step, select the mailbox folder(s) and save it by clicking the “Save” button. How to repair corrupt PST file using Kernel PST Repair Tool? Launch Kernel for Outlook PST Repair software. 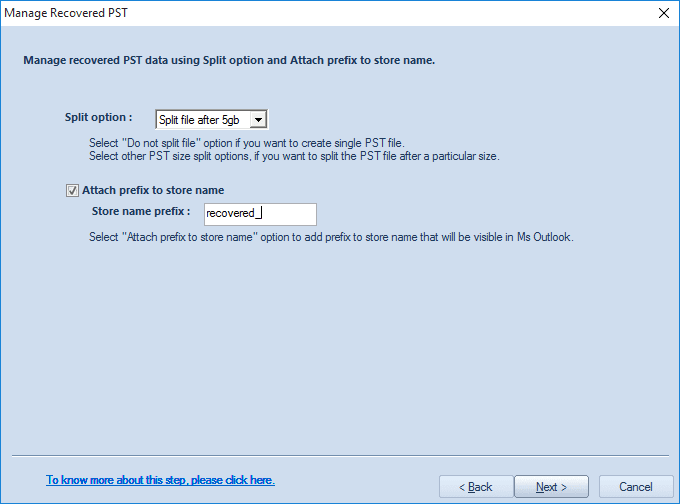 Select Source Single/ Multiple PST file(s). Preview the complete data of the added PST file. Choose desired Output file format to save the recovered data. Select from a range of Data filter for selective data saving. 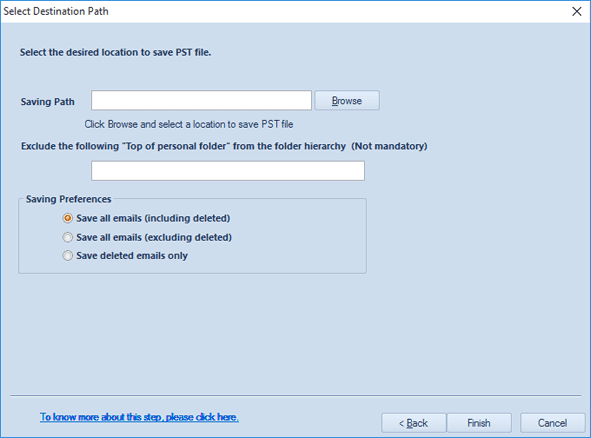 Select Destination path of PST file and save using Finish button. I need to recover some lost emails, does your tool do this? Yes, you can. 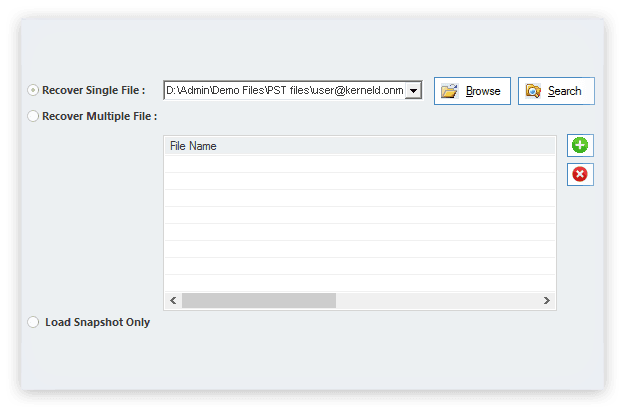 Kernel for PST Repair allows you to effortlessly recover lost and deleted emails, and items from corrupt PST file. After completing the email recovery process, the tool lets you view the items in detail inside the preview pane. Can your software restore complete PST file including all the folders? Yes, it can. Kernel for Outlook PST Repair allows you to recover all folders and subfolders of PST file in a single attempt. Can all of damaged PST be recovered? The PST files that has been damaged due to corruption issues can all be recovered using Kernel for PST Repair tool. I’ve a password-protected PST file, can your software remove or recover the password? No. Kernel for PST Repair is specialized to recover data from password-protected PST file, but it doesn’t recover or remove PST file password. But, you can use our freeware solution– Kernel for outlook password recovery tool to recover your lost PST file password immediately and for completely free. I repaired corrupt PST files on my system using Kernel for Outlook PST Repair tool. Though I can see the entire data on the preview pane, I am able to save only 25 items from each folder. What to do? In this case, you are using the trial version of Kernel for Outlook PST Repair. You can purchase the full version now to save the entire data. Before purchasing the full version, make sure that you can preview all the required data. Apart from PST file format what are the other options this tool provides to save the restored messages? Kernel for Outlook PST Repair software offers many other saving options as well. Apart from PST, users can save the data in DBX, MBOX, MSG, EML, TXT, RTF, HTML, MHTML, and PDF formats. Also, they can save emails to Office 365, email servers (MS Exchange Server, GroupWise, IBM/Lotus Domino), and all popular web mails (Gmail, Google Apps, Yahoo, AOL, Hotmail/Live.com/Outlook.com, iCloud, & Company IMAP). Does this software modify the original PST file during the mail recovery process? No! In fact, this Outlook PST Recovery software works on read-only mode. It doesn't modify the original PST file. This utility actually, creates a New PST file, recovers the data from the original one and finally save it to the new PST file. Therefore, the original PST file remains undamaged. Does the tool allow exporting PST file to Gmail and Office 365 platform? Yes, it does. You can export PST file to various number of different platforms including Office 365, Gmail, Yahoo, etc. How much time does the tool consume to recover PST file? The recovery time is purely based on the file size and the intensity of corruption occurred to that file. So, the heavier the corrupt file is, the larger time it will take. What can I do using the Trial Version of the software? The trial version allows you to repair corrupt PST files and view the recovered items for free. However, due to the trial limitation, it lets you to save only first 25 items from each folder to PST file. Once you’re satisfied with the Trial version, then you can proceed towards the software purchase. I want to know if your tool supports Mac OS? Unfortunately, no. Kernel for PST Repair tool supports only Windows operating system for the PST file recovery. 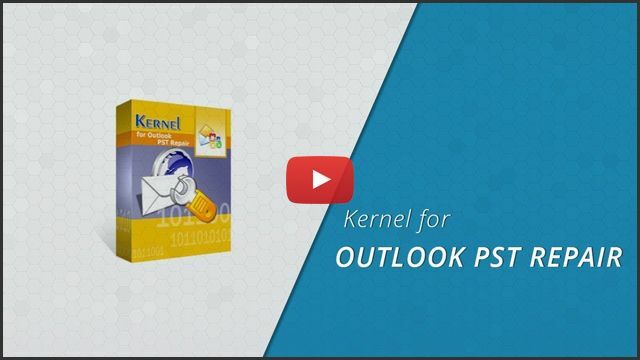 In order to repair Outlook for Mac files, you can check out – Kernel for OLM to PST tool that supports MAC Operating System. We received the order confirmation email. When does the license or full product arrive? The delivery of the product is instant via automated email within 30 minutes after the confirmation email. The automated email contains the product download link and the license key for software activation. Does the Home License ($69) allow me to save lost data back to PST file? Yes, it does. The Home License allows you to recover lost data from corrupt PST file and restore it back to PST file, so that you open the data items in MS Outlook immediately. We bought a technical license for Outlook PST Repair tool. How do I activate the product? Once you receive license activation key via email, then simply download the product from the shared link. When the tool is installed on your machine, activate the technician license with the provided key. Thereafter you’ll be able to smoothly use the tool. I purchased the full version of Kernel for Outlook PST Repair, but lost its copy. Is there any way to get it back? Don't worry! We have a brilliant tech support team that can provide you the required support. However, you need to email us the issue along with your details including your name and order confirmation number. We will provide you the best solution as quickly as possible. Complete preview of all the added PST files' email items. The in-built criteria to filter out the specific data. Filtration of data based upon different item types. Filtration of data based upon date range. Define the size to split or add prefix to the resultant PST File. Provide the required location to save the data into PST File. Provide the location to save the recovered data into DBX File. Select Email Client and define the location to save data in MBOX File. Provide the location to save data into MSG File. Provide the required login credentials to save data to Gmail. Quickly import Outlook OST/PST files to Office 365/Exchange mailboxes.